I began working with wood as a carpenter. However, it was my love of plants or more specifically my interest in native Hawaiian plants that exposed me to the spectacular beauty of Hawaii’s hardwoods. The skeletal remains of a living tree, what we call wood, is the product of both genetic factors and environmental forces. 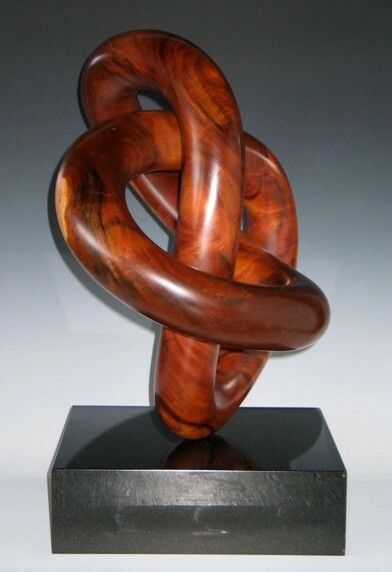 My work is a fusion of the results of my life experiences with those of the tree. 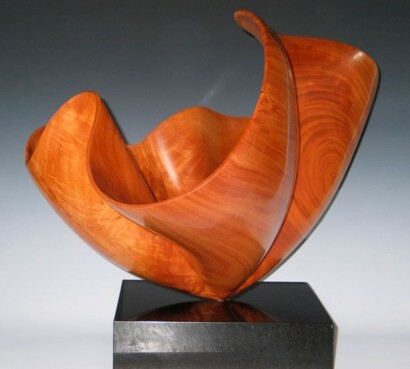 The virtually unlimited nature of carving allows me to give the unique qualities of each tree a larger role in the design process. My current work draws heavily on the tools and skills I used as a youth in the surfboard industry. 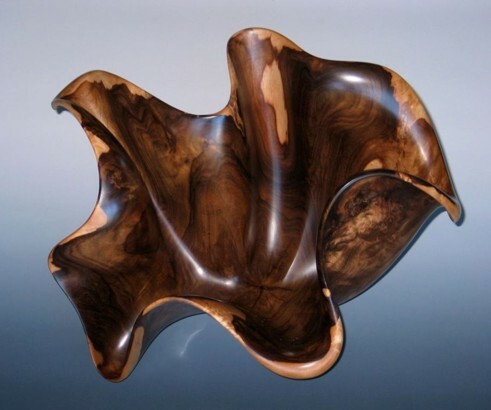 The flowing organic curves are created with an array of power carving, grinding, and sanding tools. In addition I also have several personally modified tools and specialized chainsaws which aid in the originality of my designs. I have always believed that conventional tools used in unconventional ways can yield new techniques. Frank McClure moved to Kailua, a beach community on the island of Oahu, in 1969, and almost immediately his life revolved around the ocean, surfing, diving, and fishing. In 1990, after 15 years living on the north shore of Kauai, he moved to the 5 acres he owned on the Big Island and built his own home. During 1994 he worked as a set carpenter on the movie Waterworld. The savings from that job allowed him to explore a more creative form of woodworking. He was influenced by several people whose work he’d admired but is self-taught. In some ways, having no formal art training has allowed him to avoid some of the restraints of convention. 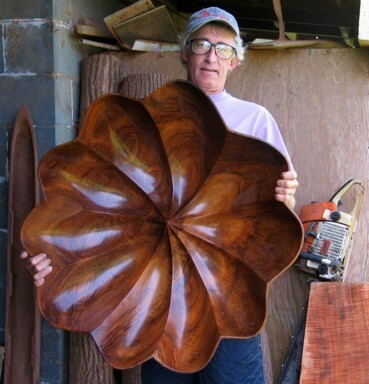 He is fortunate to have the opportunity to work with one of the more productive Koa loggers on the Big Island. 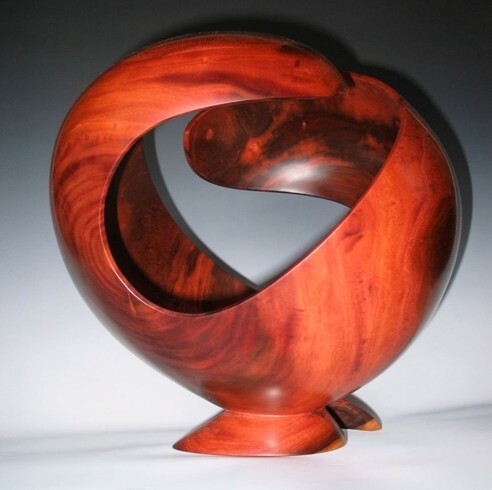 The Koa that he uses in his work is salvaged from stumps and otherwise unmillable portions of trees from the slopes of Mauna Kea.